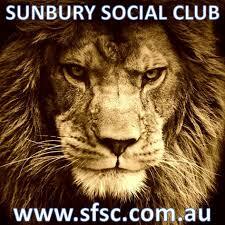 Come down this Saturday and see the mighty Sunbury Roar battle it out with the Romsey Rebels in a McIntyre Cup one-dayer at the home of sport in Sunbury, Clarke Oval. Sunbury Roar start off the new year by hosting the first ever twilight 40 over one-day match for McIntyre Cup points verses Romsey CC at Clarke Oval on January 7th, 2017. We will be expecting a huge crowd of cricket followers to come along and watch these exciting two teams battle it out for premiership points. The match will start at 2.30pm making it possible for locals to come down after lunch and watch an entertaining game of white ball cricket and also for local cricketers who have finished their own game with time to watch the last couple of hours. Keep this fixture in your diary and make sure you take the time to come down and see the mighty Sunbury Roar battle it out with the Romsey Rebels in a McIntyre Cup one-dayer at the home of sport in Sunbury, Clarke Oval.